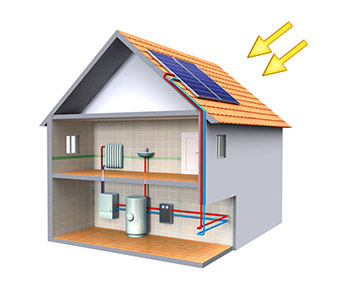 Solar power refers to the process of converting sunlight to electricity, through various methods. 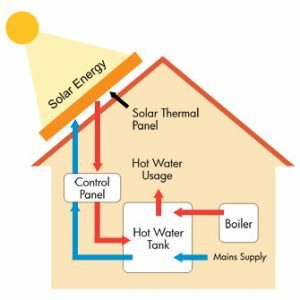 Solar pv panels are the most common method used for generating solar power. PV or Photo-voltaic cells convert sunlight to electricity with the help of photoelectric effect. In the current times, solar power doesn’t have much of a share in the global energy supply. However, it is expected to emerge as a major source of energy in the upcoming times. One of the most important advantages of solar energy is that it is pollution free. No effluents smoke or residue is released in the process of generation of solar power. This makes it a cleaner and greener option. It is perhaps due to this reason that solar energy has generated such interests in the current times. With environmental concerns being voiced all over, solar energy seems to be just the right answer. Another major advantage is that the fuel, i.e. sunlight is available for absolutely free. Since sunlight is abundantly available across various parts of the world and it makes solar power a feasible option in various parts of the world. Being a renewable source of energy, sunlight can be easily harnessed without worrying about depleting reserves. Solar panel prices may differ from company to company. This is the reason why you should look around for a few quotations first. There are quite a number of companies that deal with solar panels, and it is good if you can take the time to understand how much they cost. If you happen to come across a good quotation, then you will be able to save money in the long run.